If, by any chance, you noticed that the title didn’t say ‘build guide’, it’s because this article isn’t about recommending a single build. It will only give an explanation of the skills, and you can choose which ones to get for yourself. After all, it’s your character and you’re the one playing it. So, this article can only help you decide. Runeblades are strength-focused melee fighters with mid to high mobility. Unique to the class is the ability to use elemental runes to augment their basic skills. Some of their abilities change behaviour depending on which element is active, which will be explained later. As for attributes, it really depends on what build you want and how you want to play. Same with gear, but be mindful of your Maplestory 2 Mesos, as you might not have enough for the gear you want. Elemental Sigils – It applies an elemental rune to your blade for 240 seconds, increasing that element’s damage by 2% (+2/rank). While active, certain skills gain an elemental effect. There are three sigils, Fire, Frost, and Storm. Each of them affects other skills in different ways. Here are the skills affected, and the interactions with an active sigil. Only additional effects will be mentioned, as otherwise, the skill behaves as normal. Most extra effects factor magic damage in their calculations, so plan accordingly. Flurry Attack with 3 slashes of your blade dealing 46% damage (+3/rank) to 5 enemies up to 3m in front. Attack gains a fire element, dealing 45% fire damage (+3/rank). Targets hit burst into flames, making them take an additional 36% (+2/rank) fire damage. Attack gains an ice element, dealing 63% ice damage (+4/rank). Range slightly increases to 4.5m in front. Attack gains an electric element, dealing 71% electric damage (+5/rank). Also, it can stun common monsters temporarily. Echoing Blade Summon echoes of your blade, dealing 63% damage (+4/rank) 7 times to 8 enemies up to 3m in front. Echoes fade when performing another action. 30SP cost. Echoes gain the fire element, dealing 33% fire damage (+2/rank) 14 times. Echoes gain the ice element, dealing 58% ice damage (+4/rank). Range slightly increases to 4.5m. The skill also reduces movement speed and jump power of enemies by 30%. Echoes gain the electric element, dealing 44% electric damage (+3/rank). Adds a lightning strike effect to targets, dealing an additional 22% electric damage (+1/rank). Impact Slam your blade into the ground, creating a shockwave that deals 303% damage (+21/rank) to 5 enemies within 2.25m. While casting, you are immune to knockback. Costs 45SP with a 12-second cooldown. Shockwave gains a fire element, dealing 257% fire damage (+17/rank). Adds a flaming pillar effect in the same area that deals an additional 224% fire damage (+15/rank) per second. The pillar has a 5-second duration. Shockwave gains an ice element, dealing 682% ice damage (+49/rank). Adds ice shard projectiles in a smaller area (within 1.5m) that deals additional 255% ice damage (+17/rank). Shockwave gains the electric element, dealing 180% electric damage (+13/rank). Adds a thunderstorm effect in the same area. The thunderstorm deals 72% (+5/rank) electric damage once every .2 secs 4 times. Then a lightning strike that deals 396% electric damage (+99 every 3 ranks). Cooldown shortens to 7 seconds. Blade Chasm Dash forward 7.5m, leaving a chasm behind while also dealing 53% damage (+4/rank) to enemies in your path. The chasm explodes a second later, dealing an additional 106% damage (+8/rank) to 8 enemies in range. 40SP cost and 10-second cooldown. Dashing gains the fire element, and leaves behind a trail instead of a chasm. The trail deals an additional 52% fire damage (+4/rank) per half-second for 5 seconds. Dashing gains the ice element, and the chasm bursts in shards of ice dealing 94% ice damage (+6/rank). Dashing gains an electric element, dealing 83% electric damage (+6/rank). Thunderbolts strike along the path you took half a second later, dealing 573% electric damage (+41/rank) to 5 enemies in range. Whirling Blades Fling 3 arcane blades at the closest enemy within 7.5m in front of you. It deals 49% damage (+4/rank). Costs 40SP. Blades gain fire element, each sword dealing 43% fire damage (+3/rank) to 5 enemies in their path. Enemies hit burst into flames, making them take 73% more fire damage (+6/rank) per second for 12 seconds. Costs 60SP. Blades gain ice element, each sword dealing 40% ice damage (+2/rank). They explode, dealing 109% more ice damage (+8/rank) to 8 enemies within 3m. It also decreases movement speed and jump power by 15% for 3 seconds. Blades gain electric element, each dealing 122% electric damage (+9/rank). They then bounce to another enemy within 3m four times more. Ward Summon a shield for 9 seconds, increasing physical and magical defense by 10 (+10/rank). Cooldown is 30 seconds. Flame shield also increases flame resistance by 1% (+1/rank). Every half second, it deals 36% fire damage (+2/rank) to 5 enemies within 3m. Ice shield also increases ice resistance by 1% (+1/rank). It will absorb damage up to 3% of your health (+1/rank). Cannot be combined with barrier effects. Storm shield also increases electric resistance by 1% (+1/rank). Every second it is active, lightning strikes will hit the closest enemies within 6m in front. It deals 102% electric damage (+8/rank) to 3 enemies within 1.5m. Increases max health by 1% (+.4/rank) and fire damage by 1% (+.6/rank) Increases defense by 1.4% (+.4/rank) and ice damage by 1% (+.6/rank). Increases evasion by 1 (+1 every 3 ranks), movement speed by 1% (+1/rank), and electric damage by 1% (+.6/rank). These skills aren’t affected by any active elemental sigil. They’ll behave in the same way whether one is active or not. Conjures 5 arcane blades. When active, one blade flies toward the closest enemy within 7.5m. Each blade deals 113% damage (+7/rank). Costs 15SP and have a cooldown of 18 seconds. Places 9 runes of honing in a 3×3 square around you.Allies who touch them gain a 2% increase in critical damage (+2/rank) for 180 seconds. As an additional effect for yourself, it passively increases the same by 1% (+1/rank). Both of these effects stack for you, effectively giving you 30% more critical damage as long as the skill is active. Has a cooldown of 180 seconds. Summons a rune 3m in front of you that pulls enemies into it. It also deals 114% damage (+8/rank) to 8 enemies within 3.75m. Has a cooldown of 10 seconds. Increases fire, ice, and electric damage to enemies by 2% (+2/rank) for 10 (+1/rank) seconds. Has a cooldown of 60 seconds. Teleport to the nearest enemy within 6m. If there are none, you’ll blink 3m forward instead. It can cancel your other skills. Makes you immune to knockback while casting it. Has a cooldown of 1 second. These skills are always active, boosting various aspects of your character or skills. Allows your character to absorb 1 spirit every tenth of a second and increases your intelligence by 70% of your strength. Please check the elemental sigil effect table. Increase weapon attack by 1% (+.6/rank) when you have a blade equipped. When running for DPS, Impact is essential. Its damage output is tremendous, and the additional effects a sigil gives it can squeeze out even more damage. Storm impact is highly recommended for its shorter cooldown but consider the other elements still. The skill with the second highest DPS output would be Echoing Blades, but it requires your character to be stationary. Depending on what you’re battling, it can be beneficial to use or not. For passives, Rune Focus and Rune Balance are great to max out. The former gives great boosts to health, defence or evasion and movement speed. The latter lets you regain SP faster and augment your magic damage. Again, it all rests on how you want to play your Runeblade. The variety of skill effects lends versatility to the roles you can fill. Your character can main DPS, tank, or give support. The choice is yours. Enjoy Maplestory 2! Summary: Create your own Runeblade build! The article explains how each skill works, and the additional effects elemental sigils give to them. Plan carefully, and save up those Maplestory 2 Mesos to get the gear you need to complete your build. Continue enjoying Maplestory 2! Breaking news, my friend! 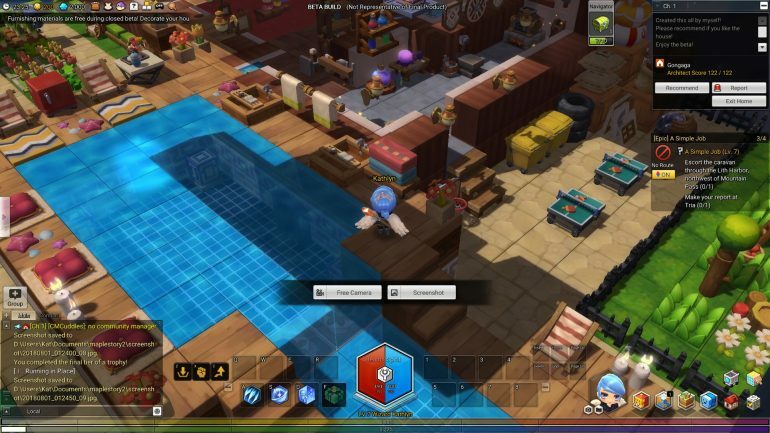 Anyone who needs substantial MapleStory 2 Meso at a reasonable price, we have a treat for you now. Gamems is providing a great service for buying MS2 Mesos, along with big discounts as well. 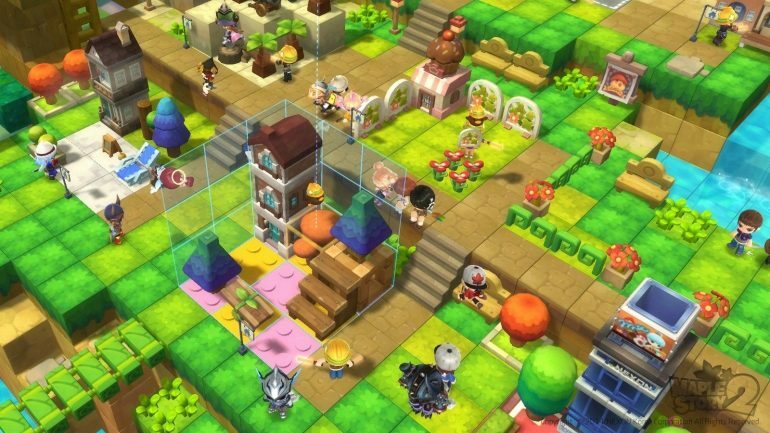 Follow the Buy MapleStory2 Mesos to view more details or purchase now! 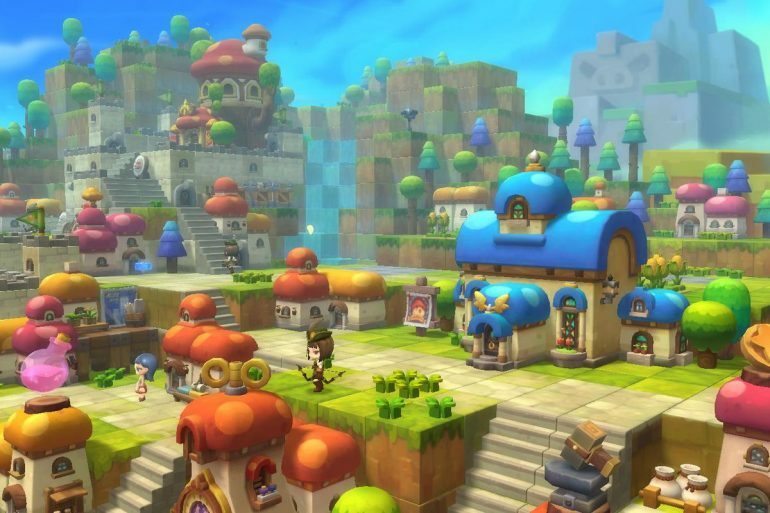 MapleStory 2: New HD Progression System Is Devouring The Game Inside Out?